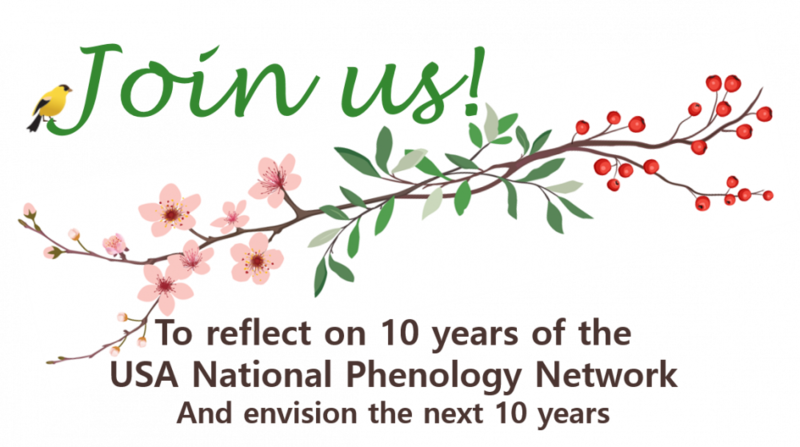 Reception, including posters from Local Phenology Programs across the country and a slideshow of observers and partners in the field. Hors-d'oeuvres provided. 5 - 8 pm: Participants who arrive in the afternoon are welcome to join USA-NPN staff for an informal dinner gathering at the Mercado San Agustin. The Tucson Sun Link Streetcar runs from just a block from the Aloft hotel (Helen St stop) to the Mercado (Avenida del Convento stop). 8 am - 3 pm: Open hours at the USA-NPN National Coordinating Office. Stop by to meet with staff members! Suite 325, Biological Sciences East, University of Arizona. 10 am - 12 pm: Local Phenology Leaders with active Nature's Notebook programs are invited to a brunch and tour at the Tucson Botanical Gardens, a local Nature's Notebook site. LPLs from across the country will share their knowledge and experience. Space is limited; RSVP to lorianne@usanpn.org. 1 - 2 pm: All participants are invited to a tour of the University of Arizona Arboretum, a local Nature's Notebook phenology monitoring site. Meet at the Joseph Wood Krutch Garden. Hike the beautiful Santa Catalina Mountains, that frame Tucson to the north. RSVP to alyssa@usanpn.org. Pick up and drop off from the Aloft hotel. Visit the Arizona-Sonora Desert Museum, a world-renowned zoo, natural history museum and botanical garden. Entrance fee information available here. RSVP to erin@usanpn.org. Pick up and drop off from the Aloft hotel. 8:30 am - 3 pm: Consider participating in the 15th Annual Research Insights in Semiarid Ecosystems Symposium, held at the University of Arizona's Marley Building, Rm 230.